Quant and TA commentary, with a dash of macro. I have been fooling around with Python as a possible tool for technical analysis. I coded a few of my favorite indicators. The GitHub link is here. I don’t think I am going to switch from C# and Multicharts, but Python is good for doing crazy stuff like the correlation indicator I wrote about last time (which, by the way, has been pegged below 50 all year – I’d love to know why). 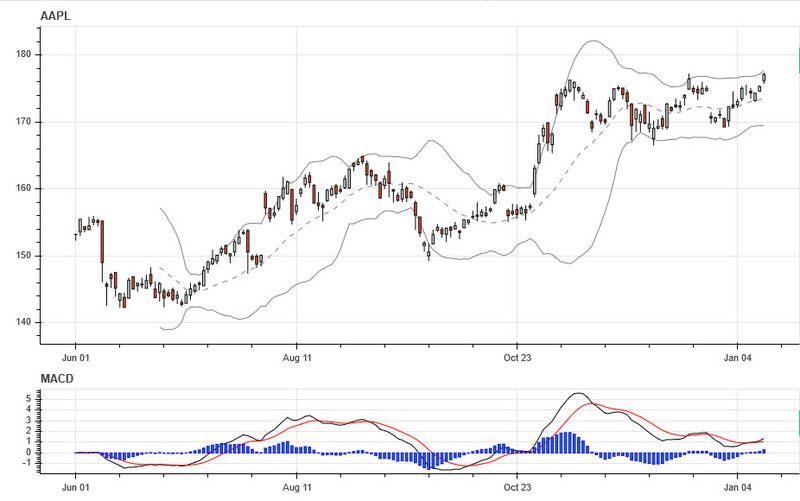 Also, Bokeh shows great promise as a versatile charting program. Indicators may look different from Stockcharts.com unless you attend to your scaling. Stockcharts enforces a 0-100 for oscillators, Bokeh does not. So, it’s another tool in the toolbox. In fact, I noticed that most indicators are built with an iterative mindset that obviously reflects the programming languages of the day. This is a great example of creativity being constrained by the tool set. Ironically, the ones that are hard to do in a scalar language, like MACD, are easy in Python – and vice versa. Wilder’s clever smoothing technique seems designed for a scalar language. I used a little math and converted it to its equivalent EMA. Coding lookback windows and rolling averages in Python feels like pounding a square peg into a round hole. I suspect that the next wave of great indicators will be vector-based, reflecting modern ways of thinking about data. This entry was posted in Indicators and tagged Python, RSI, Wilder. Bookmark the permalink. Information contained on this web site is provided for educational purposes only. Under no circumstances is it to be used or considered as an offer to sell, or a solicitation of an offer to buy securities. While information contained herein is believed to be accurate at the time of publication, we make no representation as to the accuracy or completeness of any data, statistics, studies, or opinions expressed.